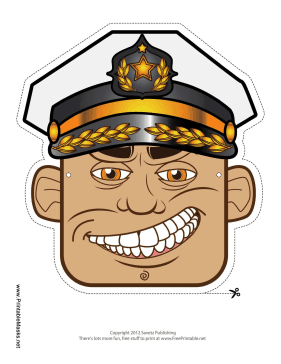 A dashing male captain mask like this one is perfect for setting sail on a make believe boat. His big grin, white hat, and official badge complete the look of a very important sea captain. This mask is free to download and print.